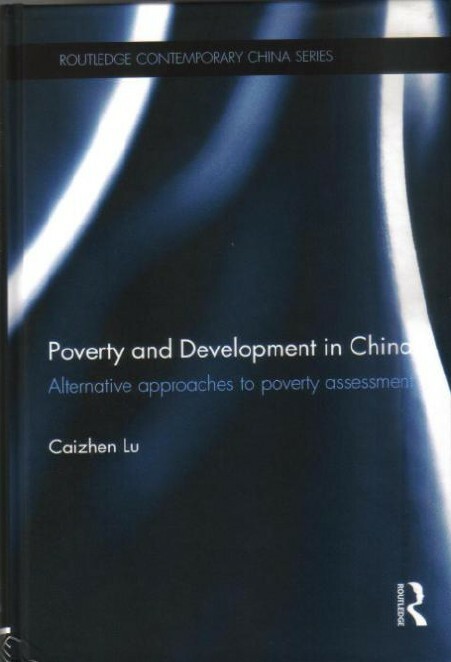 New Book “Poverty and Development in China: Alternative Approaches to Poverty Assessment” was published by Routledge, Taylor & Francis Group on 12 September 2011. The author is LU Caizhen. China has made huge economic strides in recent decades but poverty is still a major issue on the agenda for rural China. Poverty and Development in China analyses how poverty is recognized and measured and how people in poverty are identified, literally asking who is poor in China? LU Caizhen’s research compares four approaches to poverty assessment: China’s official poverty identification method; the participatory approach to poverty assessment; the monetary approach; and use of multidimensional poverty indicators. Each of these is applied to the same population of households to identify the poor in rural Wuding County, Yunnan Province. The analysis shows that there is in fact very little overlap of households identified as poor by the various means, and that choice of approach does matter in the outcome of who is identified as poor. This has implications at the theoretical, methodological and policy levels. Lu discusses these in detail, concluding that, at present, there is a need to shift away from poverty-reduction strategies that narrowly emphasize income-generation activities, as these are often short-term efforts. Instead, the focus should move towards a broader combination of short-term and long-term strategies to break poverty’s inter-linked structural causes. LU Caizhen is a Research Associate in Development Studies at Center for Mountain Ecosystem Studies, the Kunming Institute of Botany, Chinese Academy of Sciences, China; and the World Agroforestry Center, China and East Asia Node. Her research interests focus on poverty studies, gender, social equity, natural resources management and vulnerability and adaptation to climate change with both quantitative and qualitative approaches.